How much does it cost to travel to Budapest? How much money will you need in Budapest? Ft25,504 ($90) is the average daily price for traveling in Budapest. The average price of food for one day is Ft5,657 ($20). The average price of a hotel for a couple is Ft29,336 ($103). Additional pricing is in the table below. These average travel prices have been collected from other travelers to help you plan your own travel budget. How much money do I need for Budapest? Budapest is the capital city of Hungary. It has been called the "Paris of the East" because of its impressive architecture and general beauty. 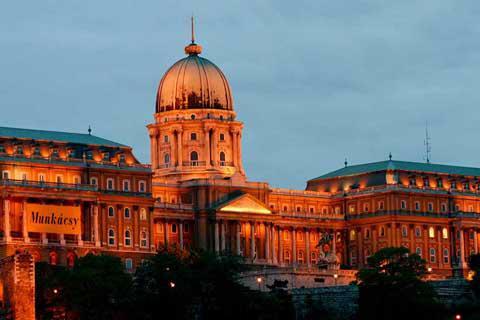 It was listed as a UNESCO World Heritage List in 1987 because of its cultural importance, its location on the Banks of the Danube, the Buda Castle Quarter and Andrassy Avenue. In addition to its rich history, Budapest still has a young vibe with a lot of energy. There's an active night life, an impressive music scene, and a good reputation with European youth. Tourism continues to rise in Budapest as it becomes more recognized as a travel destination for its history, architecture and culture. Budapest is made up of two cities that are each unique. Buda is on the west bank of the Danube River and Pest is on the east. The atmospheres are different and each has something to offer visitors. Budapest is noted for its beauty, music, and architecture. It has grown into a cosmopolitan city that offers residents and visitors a high quality of life. Prices may be somewhat lower than those found in other large European cities, but the standard of living is good. Budapest's main tourist sights are concentrated around Castle Hill in Buda and downtown Pest by the river. On Castle Hill the most famous sights include the Royal Palace, the National Gallery, the Fisherman's Bastion, Mattias Church, Lions' Courtyard, Hunyadi Garden, Savoyai Terrace. In downtown Pest the main sights include the Parliament Building, St. Stephens' Basilica, the Great Synagogue and the Jewish Museum and the Jewish Quarter. Budapest is technically divided into 23 administrative districts but most people split the neighborhoods between Buda and Pest. Buda is west of the Danube and has Districts I-III, XI-XII, and XXII. Pest is east of the Danube and has Districts IV-IX. Castle Hill is District I of Buda. This is the oldest part of the city and it is where you will find the Castle and some of the most famous tourist attractions including Fishermen's Bastion, the Labyrinth and Mathias Church. In Buda, the central part of the city is considered those areas near Nagykorut. This area is served by Tram 6. In Pest, the central area is bordered by Kiskorut, or Small Boulevard. This is where you'll find most of the tourist attractions. There are many different activities in Budapest that you can enjoy. One of the most popular things to do is go to a thermal bath. The baths are a lingering influence of the Turkish culture in the area. They usually contain several pools, massage services, and drinking cures. Many people also enjoy going to the Hungarian State Opera House, the Palace of Arts, Theatre Madach or one of the many other theaters around town. Popular festivals in Budapest include the Budapest Spring Festival, the Jewish Summer Festival, and Sziget, a rock music and culture festival. Traditional Hungarian food is hearty and filling. There are a diversity of restaurants throughout the city, some that serve up traditional Hungarian dishes and others that have international or fusion flavors. Prices are quite low by European standards and you can enjoy a hearty meal at lunch or dinner for a fraction of the price that you might pay in other cities. Local dishes are usually heavy on meat and are often made with pork, beef, veal or poultry. Paprika is a common seasoning, although the food typically isn't spicy. Favorite dishes include gulyas, or goulash soup, which is a beef soup that is made with potatoes and paprika, papriaks, which is veal or chicken that is served with a creamy paprika sauce, and porkolt, which is a stew of sauteed onions and paprika. The central part of the city is easily walkable. This is where you'll find the highest concentration of attractions. Still, you'll likely want to head to some other neighborhoods that are accessible by public transportation. The system is good and comprehensive. It includes four metro lines, buses, trolley buses, and trams. It's relatively easy to navigate, but there can be delays so plan ahead. For tourists, the metro is particularly useful as it connects the major transportation hubs with many different sights and hotels. Tram 2 follows the Danube on the Pest side, and Tram 19 and 41 go on the Buda side. Tram 4 and 6 are also useful as they run along Grand Boulevard and cross the river on Margaret Bridge or Petofi Bridge. Buses 16/16A and 116 will take you to Buda Castle from Szell Kalman ter and buses 7 and 107 join Keleti railway station with the city center.